As a kindle book, fine. As an audio book, not so much. I bought the audio version so I could listen while riding the subway. The narrator's voice is grating. (Really? You couldn't get anyone better?) 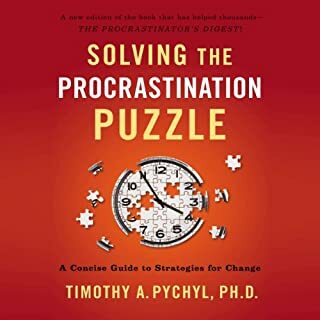 Also, you soon realize how often the word procrastinator is used in this book...and that's grating, too. "Be firm with the procrastinator." "If the procrastinator delays on something..." "Procrastinator. The procrastinator! I realize it's a book about procrastination, but... It's like listening to the song Roxanne. If I took a drink every time she said procrastinator.... And the way she says it and the way it's used... procrastinator starts sounding like...an evil, nasty person. Procrastinator! I had to shut it off. Waste of my money, pretty annoyed! Ugh i don't know, but this was not for me. What was most disappointing about Jane B. Burka and Lenora M. Yuen ’s story? Very cliched. All stuff i had heard before many many times, but made longer...which made it more boring! 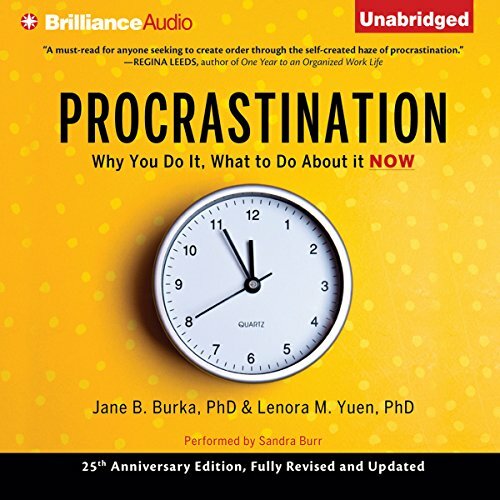 How ironic that a book about trying to cure procrastination - made me procrastinate! Trying to get thru this book was a huge chore but as i had spent so much on it i was determined to try. It was awful. I picked up a few small things but mostly this was nonsense and boring nonsense at that. 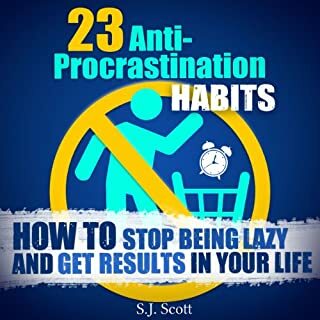 The book looks at procrastination from all angles giving the reader real and unique insights to the problem. They offer sensible, simple but thoughtful practices to help alleviate the problem. This was my first experience with an audio book. The sound was clear and the narration was understandable and enjoyable. The app is super convenient and easy to use. I'd like to listen to more books! This is a very good book, helped me a lot and I urged to write this review. Better listening than reading, feels just like a real therapy session! Excellent factual information. Great step by step practical solutions. The authors are clearly very experienced in the field of procrastination. Absolutely. 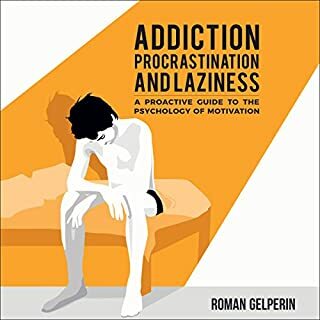 This book took procrastination and broke it down to all the reasons why someone does it, how the brain has been affected, and how patterns have been set. It cross references things such as ADD and ED and how we were raised with Cognitive thinking and awareness. 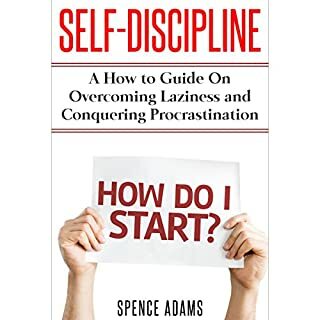 This book breaks things down in a logical format that is understandible and helps you to not condemn either yourself or your loved one who is a procrastinator. I'm currently listening to "Everyone's a Theologian: An Introduction to Theology" by R.C. Sproul. No, this was the first book by her. She pronounces a few words a little differently than I would, but otherwise it was good. What insight do you think you’ll apply from Procrastination? Journalling for awareness as well as talking to the procrastinator in my life very differently. I sure wish I could get my procrastinator to listen this book. The insights provided by this book have helped encourage me as have the anecdotes. I do not plan to follow all the advice. Partnering with someone would not work for me. I am a loner and ADD. A partner would be a distraction. I want to follow through by reading the book on the Kindle app. It is a worthy book. It met all of my expectations and beyond. I now understand what lies beneath my procrastination, and I can move forward feeling better about myself while I implement some of the techniques to improve upon my efforts to reduce procrastination in my behaviour. Thank you so much for all of your dedication and serious efforts writing this book. The subtitle of the book 'what to do about procrastination' suggests that it will help combat procrastination - well it doesn't in my view. To start with the narrator has a very boring monotonous voice and then spends the first 2/3 of the book explaining the theories around the subject that just goes on and on and on ..... Without any real insight or interest. The section where I hoped to gain some useful tips into dealing with procrastination did not fare any better. It goes off in tangents - eg there is the best part of an hour discussing the loneliness of first generation immigrants in the US and how this affects procrastination - not a solution for me. Kept on listening in the hope of some wisdom but sorry, just completely wasted my time. Would have wasted less time procrastinating - how ironic. A 12 year old child maybe. Sorry, I don't mean to be rude, but this was a total waste of money! Would you try another book written by Jane B. Burka and Lenora M. Yuen or narrated by Sandra Burr? I've had to google the narrator to make sure she is a real person. She sounds like an automated answer machine. Even though the internet tells me Ms Burr is a human being, I still have doubts. I would never get anything narrated by her again. It's very distracting. Would you ever listen to anything by Jane B. Burka and Lenora M. Yuen again? Yes. The information is in depth and helpful. I don't know but I hugely blame my very low ratings on the "narrator" it wasn't the pace (i know you can toggle that in the setting), it was mostly the narrator's style of reading. Also for some reason the ideas seemed dated to me. I was awaiting for this book for a long time!. It treats the problem of procrastination seriously and talks about the problem with the methodical manner! Informative Innovative and touches all sorts of problems related to main topic. I've learned a lot about my behavior from this book! It also points out the medical problem which a re related with the subject which is really valuable! life changing if you let it! 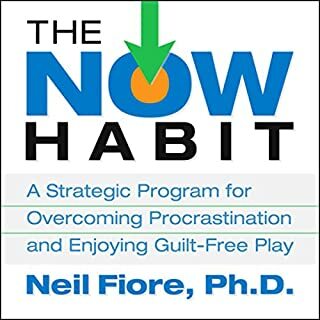 this book goes to the root of why people procrastinate and how to stop it. This book goes extremely deep into the topic. Amazingly eye opening insights into how your brain works. 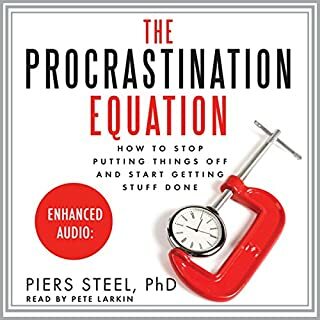 The authors present an intensely thorough examination of what procrastination is, why we do, and how to overcome it. The density of the information probably warrants a 2nd or 3rd reading for most people, to truly grasp the concepts. If you could sum up Procrastination in three words, what would they be? I loved this book!! For years I've struggled to understand my family and been racked by guilt over my own tendencies. Having grown up with it you realise something is wrong but not sure how to approach it or even to understand it from an emotional point of view. Instead of getting ridiculously over hyped time management 1 hour summaries/takeaways, you'll get an honest book which sheds light onto the issue and provides you with real strategies and processes to assist in overcoming this. This is now my bible for dealing with this issue.